Is going back to school a hassle? If you want an HVAC license, you can easily get one online. Here’s your guide on how to get HVAC certified online. Having the chance to practice a trade sounds like a great idea, but you’re not thrilled at the thought of going back to school. You don’t have the time, can’t travel, or aren’t able to make other arrangements in order for it to benefit you. What if there was a way to learn how to get HVAC Certified without ever leaving your house? Thanks to advances, it’s now possible to become certified online. This allows you to get the important certification you need to start finding work in your field today. Learn more about how you can take advantage of this useful opportunity. If you’re looking to switch professions or learn more about HVAC certification, it’s helpful to take a course that results in a diploma or other physical form of completion. Making the time to study allows you to see what concepts you understand and where you’ll need additional work. If you still aren’t sure about pursuing HVAC as a career, taking an online course offers you the chance to see if it works for you. If you’re curious about how to get HVAC certified, this offers a useful start. One of the best things about studying online is getting the chance to work around your schedule and do what’s convenient for you. Most in-person programs require you to change your work schedule, find daycare, and commute to the program of your choice. By making the choice to study online, you’ll avoid these additional costs while learning the same material as your in-seat peers do. You’ll have the chance to cover critical material such as the benefits of choosing one source of heat over another while meeting customer needs. This is a useful solution for someone in a one-car family, who cannot travel a long distance to a nearby college. Others who want to study after work without changing up their schedule too much find it helpful too. Time to complete the program ranges from nine months to four years or longer depending on what you choose, if you take any breaks, and how long your overall studies are, dependent on the program. Online learning can open up doors that people never realized existed, and help them prepare for a future career. Although your studies take place online and you’ll walk away with a diploma, keep in mind there are some limitations with taking classes online. This depends on what state you live in and is your city has any restrictions on working in the HVAC industry without hands-on experience. When you’re learning how to get HVAC certified, you won’t actually get the certification through your online courses. Having the education helps ensure you’re equipped and knowledgeable enough to take them. You’ll need to take the NATE Certification separately. For those that are entry level with no experience, these get offered online and are a valuable resource for anyone looking to increase their opportunities for various organizations. You’ll need to arrange for hands-on study time. This might be done through a local apprenticeship or some other means of learning. Options include studying HVAC through another organization, individual, or even self-study. Your diploma or degree is helpful when trying to get your foot in the door, but it only goes so far. Make sure you’re researching what’s required where you live. Find out what companies want their employees to have, and what it takes to complete your studies in a way that satisfies these needs. Certification does make a difference when you’re trying to get hired. It shows employers that you’re serious about your work, have hands-on experience and know the best practices for maintaining HVAC equipment. If you wish to become a journeyman or a master within the HVAC trade, you’ll likely need advanced education. 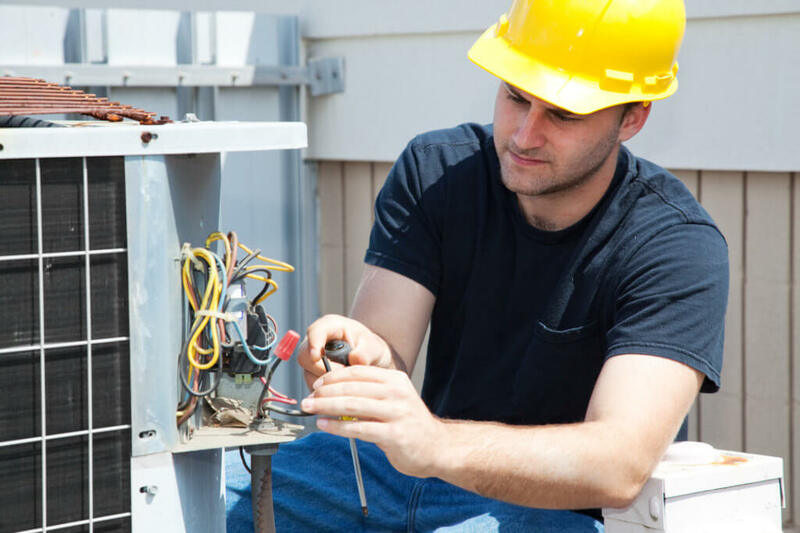 This includes training under an expert and plenty of time working hands-on with specific HVAC functions. Online classes and certification provide the best function when they’re viewed as supplementary material to your resume, but they won’t serve as a be-all-end-all to your career. If you move to a different location make sure you’re keeping updated on what the requirements are for HVAC technicians. You might find you’ll need to seek additional education, get more experience, or sit for a specific certification in your quest to become fully trained throughout your career. If you’re interested in learning how to get HVAC certified online, it’s important to review your options and see what you’re interested in. Consider the benefit of getting a solid education to strengthen your background, and then adding a certification on to your resume, and you’re sure to impress potential employers. Learning about HVAC is an on-going process that never stops the industry keeps on changing. Check out our blog post on frozen pipes and the best ways to deal with them. Remember that becoming an HVAC technician is a journey. The more you devote yourself to learning, the more enriched your career becomes.